Calgary’s green home builders don’t just create energy-efficient, eco friendly homes; they also deliver major economic benefits to homeowners through reduced operating costs and superior resale values. There are a lot of common misconceptions about custom homes, particularly related to costs, and if you’re thinking about building a new house, you owe it to yourself to learn the truth. The reality is that the economic benefits of building green are proven and sustainable. Opting to build an eco friendly home can help you earn a better return on your investment, all while helping the environment. With more and more builders jumping on the eco friendly bandwagon, it’s important that you can separate myth from fact when it comes to green building. Green building myth #1: Green homes cost more than standard homes. The truth: Green homes in Calgary cost, on average, about $300 per square foot to build. Standard construction costs an average of $250 per square foot. So yes, while your up-front costs are about 15 per cent higher, keep in mind that your lifetime costs will be lower, and that you will recoup that higher up-front investment many times over through energy savings – particularly considering that we live in an age of rising energy costs. 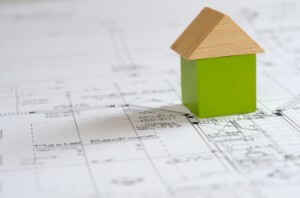 Green building myth #2: All green home builders are made equal. The truth: A lot of construction companies are branding themselves as “green” and “eco friendly” when they really aren’t. Fine Line Homes backs up its claims through proven performance and professional affiliations. We’re completely transparent, and we’re happy to offer you whatever proof you may need that we are what we say we are. Green building myth #3: Green homes are less comfortable and have fewer amenities than standard homes. The truth: Green homes are every bit as comfortable and offer all the same amenities as standard homes. The only difference is that green homes use less energy and resources to meet your day-to-day needs, and employ different technologies to achieve the same effects. The truth: While some people choose to optimize their home’s energy efficiency by using unconventional layouts and exterior designs to reduce heat gains and cooling loads, an eco friendly home can look identical to a standard home if that is what you would prefer. All Fine Line Homes are custom-built according to your preferences and specifications. Green building myth #5: All new homes have eco friendly features, so there’s no point in paying more to go with a green builder. The truth: This is, perhaps, the most damaging misconception on this list. The truth is that the vast majority of standard new homes use environmentally damaging materials as their defaults. Most standard new home builders shy away from using eco friendly alternatives, even when the cost difference is negligible, because they fear it will interrupt their supply chains and create inconveniences. Green homes generate, on average, between 50 and 90 per cent less construction waste than standard homes, and they make prominent use of energy-saving systems and repurposed or recyclable materials. The environmental benefits of building green are proven beyond doubt. However, the economic benefits of building green aren’t as well-understood by the majority of prospective home builders. Broadly speaking, green homes offer homeowners two major financial advantages: reduced operational costs, and higher resale values. According to recent studies, the energy and water savings generated by green homes allow homeowners to recover their higher up-front investment costs in three to five years. Once you pass that threshold, the savings go straight into your pocket. Excellent for Calgary weather. Because eco friendly homes offer such incredible energy and cost savings, they have significantly higher average resale values than comparable standard-built houses. While exact figures vary, depending on the size and location of the house, current estimates suggest that you can expect to get about 10 per cent more for a green home than you would for an identical standard home. Fine Line Homes is your leading green home builder in Calgary and the surrounding area. Our custom-built homes deliver sustained savings and superior values for homeowners, and we’re happy to work with you to create an eco friendly home that suits your lifestyle needs and your budget. To learn more, please don’t hesitate to contact us.